Delta’s frequent flyer miles have been derisively nicknamed “SkyPesos” for their low value, but in fact there are still many good opportunities to redeem them for valuable awards. Unless noted, all rates below are for round-trip travel. One of the greatest difficulties in identifying award opportunities with Delta SkyMiles is that the program no longer publishes award charts. In theory a chart exists, but you won’t know that you’re seeing the lowest price unless you have experience or another way to gauge it. We’ve made an effort to verify the prices quoted in this article at the time of publication, but they are subject to change. Prices for Delta SkyMiles awards vary across three to five levels depending on the destination, although partner awards tend to have just one price. More variation usually means more award availability but also makes it more difficult to score the lowest price if you’re willing to be flexible with your destination and schedule. In general, you’ll know you’re looking at the lowest level by checking a few dates in the future, perhaps even 11 months in advance (which is as far out as the schedule goes). If you see the same price then as you see on the dates you actually want to travel, then you’ve got a good deal. Remember to choose “Flexible Dates” when beginning your search on the Delta homepage. Otherwise booking with Delta is straightforward. Delta doesn’t have separate award prices for its partner airlines, most of which participate in the SkyTeam alliance. There are also no stopovers permitted, but open jaws are allowed if you’d like to arrive and depart from different cities. Delta has several European partners, including Air France, Alitalia, KLM, and Virgin Atlantic. It may be one of the most convenient programs to use for award redemption to Europe next to United MileagePlus. From just Atlanta, there are nonstop flights to nearly every major city in Western Europe, and business class awards start at 67,500 miles each way. Keep in mind that Delta does collect additional carrier surcharges if you book travel that originates in Europe. To avoid this fee, book a round trip itinerary that begins in the U.S. (rather than two separate one way journeys). More information on carrier surcharges is provided in a separate article. Aeromexico is the flag carrier of Mexico and offers a surprisingly comfortable premium experience with lie-flat business class on some flights. Flights from the U.S. and Canada cost just 30,000 miles each way in business class. Many itineraries will connect through Mexico City, and from there you can reach just about every city in the nation. There are also non-stop flights available to Cancun, Los Cabos, and other popular beach destinations from larger U.S. gateways. The recent surge in the value of the U.S. dollar makes now a great time to enjoy a Mexican holiday. 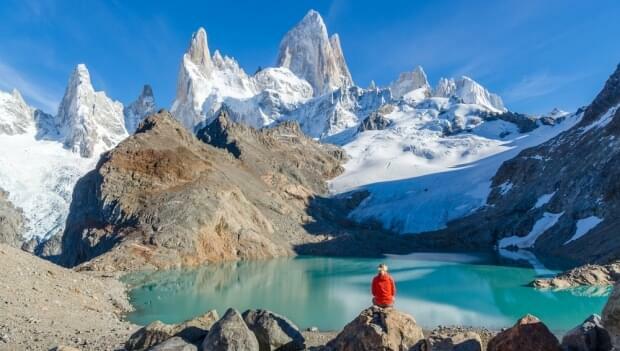 Interested in traveling even further to explore South America? Aerolineas Argentinas, has an enormous presence in Argentina and the surrounding region. Take that backpacking trip through the windswept mountains of Patagonia that you’ve always dreamed of, or for something more relaxing visit the famous beaches of Rio de Janeiro. Aerolineas Argentinas has plentiful award space that makes it both affordable and easy to reach from the United States. While they don’t serve many cities in North America — just New York and Miami — you can probably find a connection to one of these gateways on Delta. If you connect onward to Brazil, keep in mind that the 2016 Olympics are this summer. Tickets may still be available to some smaller events if you’re planning a last-minute trip. Whether you’re a sports fan or not, take notice that your trip will be even cheaper this summer as Brazil has temporarily suspended their visa requirements for U.S. passport holders between June 1 and September 18. 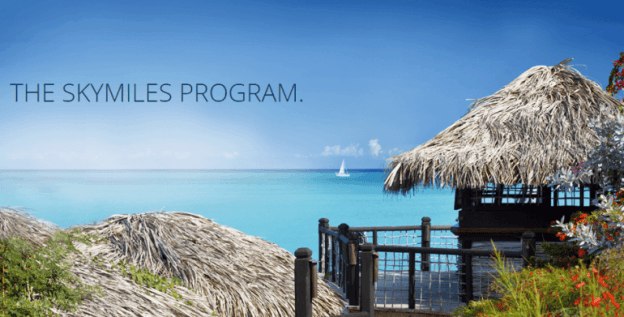 Unlike some airline loyalty programs, Delta charges the same amount whether you visit Australia, New Zealand, or smaller islands in the South Pacific. Expect to pay just 45,000 miles each way in economy class or 80,000 miles each way in business class. Australians have a great backpacking culture, so you’re sure to meet up with friendly travelers wherever you go. Look for flights operated by Delta, which travels to Palau, Guam, and Sydney. For more options there tends to be good award availability Virgin Australia. From Sydney you can connect on Virgin Australia to the far reaches of the outback or to a relaxing beach on the coast of Fiji. 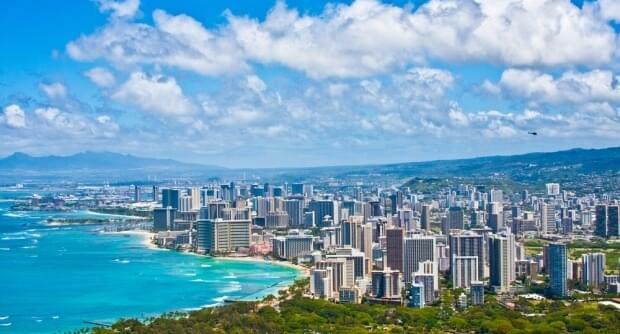 Hawaii is one of people’s favorite vacation destinations. Convenient and with no passport required, Delta operates regular service to Oahu, Maui, Kauai, and the Big Island from its hubs in Seattle, Los Angeles, and Salt Lake City. Award travel starts at just 20,000 miles each way in economy class. While they may not be the best of friends, Delta and Alaska Airlines are still partners, which means you can also redeem your SkyMiles for travel on Alaska’s more extensive West Coast network. If you’re traveling from somewhere else, connecting itineraries that combine Delta and Alaska are permitted. Alaska Airlines offers more routes between the West Coast and Hawaii than any other carrier, not just from Seattle but also Portland, Anchorage, Bellingham, San Diego, and all three Bay Area airports to name a few. This makes it easier to find award space and limit the number of stops along the way. Typical domestic awards in economy class will cost 12,500 miles — the same as most carriers. Delta also market fares within the U.S. that start as low as 7,500 miles each way, which is one of the lowest prices. The trouble is that you can’t easily predict where these cheap awards will be found. Most other carriers offer discounted awards within specific regions or for travel under a certain distance. Delta varies their offers regularly in response to demand. Remember, they no longer publish a SkyMiles award chart. To find the cheapest awards for 7,500 miles, look at routes that run up and down either coast, such as from New York to Miami or from Seattle to San Diego. Some intermediate routes may be available for 10,000 miles. Transcontinental routes, such as Los Angeles to Boston, are likely to stay at 12,500 miles.